Our Expert tour guide will pick you up by a modern air-conditioned vehicle from your hotel in Cairo then drive to St, Catherine for about 10 or 11 hours as we will go Catherine City Via Sharm Road. Check in your hotel to relax and overnight in your hotel. In the early morning at 02:00 am you will be picked up from your hotel and transferred to Moses Mountain and you will be accompanied with Bedouin Guide as an expert to Guide you to climb the sacred mountain. 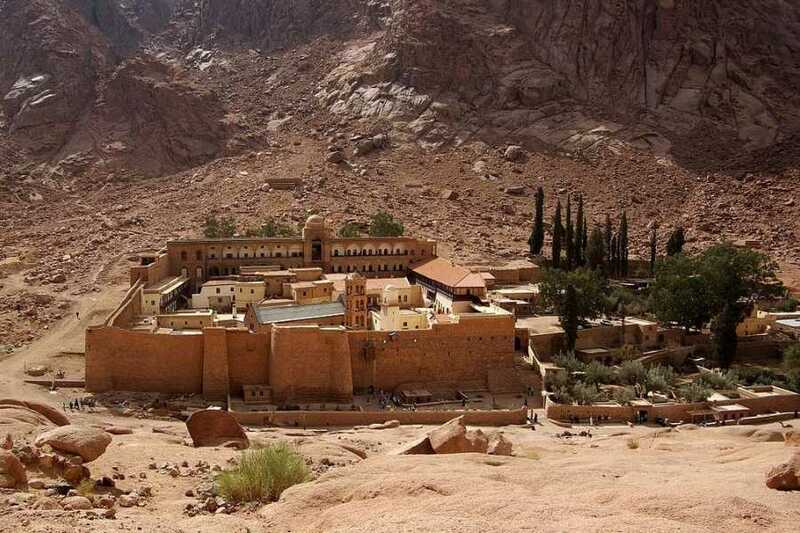 After you climb the mountain and go down at about 07 Oclock you will be guided to visit St, Catherine Monastery, which is considered one of the most famous monasteries in the world. The monastery was dedicated to one of Alexander's rulers, St Catherine, who was tortured to death for the sake of her new faith. After that, you will have your breakfast at the hotel & drive back to Cairo.